Charles Harris is co-head of the Chicago Trusts and Estates practice and a member of the firm's Board of Directors. Charles concentrates his practice in tax and estate planning matters, primarily representing wealthy individuals and owners of closely held businesses. He assists private equity investors in structuring their investments in a tax efficient manner and in planning for the transfer of their interests to family members. 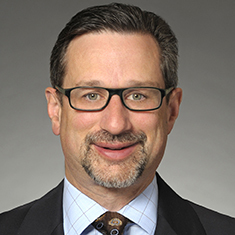 His estate planning skills include restructuring stock ownership in closely held businesses, establishing family limited partnerships, developing business succession plans, creating various trusts and limited liability companies, and analyzing the income, gift and estate tax implications of various techniques. In addition, Charles counsels executives of publicly traded companies, advising them on effectively planning for the exercise of stock options and structuring distributions from retirement plans. Charles has dealt extensively with planning for US citizens with a foreign connection, whether the US citizen is residing in a foreign country, marrying a non-citizen spouse or otherwise connected with a foreign government. He has counseled clients who are non-resident aliens on the most tax-efficient manner for investing in US entities. He represents several companies in the US Virgin Islands that are part of the Economic Development Commission (EDC) program and is involved in all aspects of the design, implementation and qualification of appropriate vehicles that can qualify for the benefits under the program, coordinating the overall income tax and estate planning needs of the owners of these companies. For clients who are philanthropically minded, Charles assists in creating private foundations and other charitable arrangements such as charitable lead trusts and charitable remainder trusts to enable a client to effectuate both charitable and tax planning. He teaches an Estate and Gift Tax Class for the Graduate Tax Program at The John Marshall Law School. A prolific writer and lecturer, Charles has authored articles on such topics as generation skipping transfer tax planning, life insurance planning, tax payment clauses, and Illinois probate and trust administration, and frequently speaks on these topics before the Illinois Institute for Continuing Legal Education, the Chicago Bar Association and National Business Institute. Charles is a Certified Public Accountant (CPA). Shown below is a selection of Charles’s engagements.